Cee Lo Green is doing his bit to help US volunteer firefighters. The singer-songwriter is recording Thank You, another rewrite of his hit song that's known in its PG-rated version as Forget You, to publicise a battery donation campaign. "I believe I can contribute a great deal more than mere entertainment," he said. Cee Lo is helping to promote Duracell's battery donation drive for volunteer fire departments in the States. The firefighters use the batteries for flashlights and other equipment. In the US, the firm is donating one battery for every specially marked pack of batteries customers buy. 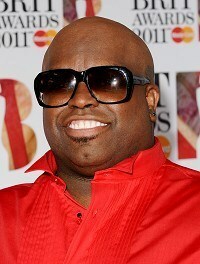 Cee Lo's mother was pulled by volunteer firefighters from a serious car wreck, and had served as a firefighter herself. "I always wanted to be a fireman, like a lot of kids," he said. "There are quite a few heroes out there," he added. Cee-Lo, who is touring Europe, has been involved in a number of other charitable efforts, including plans to donate proceeds from his song It's OK to Japan's earthquake relief. Billy Joel has announced he is cancelling his planned memoirs.The Book of Joel was scheduled for publication in June. Record-breaking DJ Chris Moyles is to take on musicians-turned-presenters Ronnie Wood and Jarvis Cocker for one of the biggest accolades in radio.